I would like weeping using the smile as opposed to repenting using the cry,when my center is broken ,is it required to fix? Thanks for posting such valuable information. The graph on the Oil import helped me to understand more about the performance of the oil industries across the United States. The performance of various companies will help investors to choose the best one , for providing investments.I request the author to visit the website http://gasandoilnews.com, since contains chunks of details regarding oil and natural gas companies. Good information, but are there any more recent figures available? 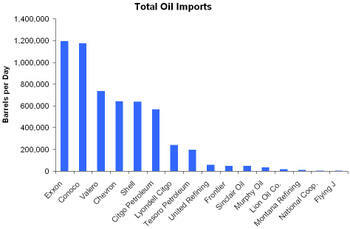 US imports more oil than all europe! 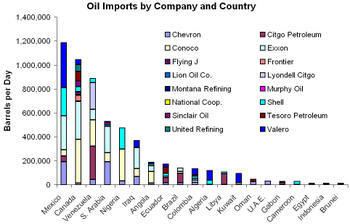 Very valuable information is this that by company and country reason the oil export are reduced in US. In US their is huge amount of oil is used by all. So now what happen by having this big problem for country.